�����A year ago, Gold was at $1,289 an ounce, and today, it is at $1,350.50 in morning trading. Silver has not fared as well over the past year, down from $18.55 to the current $16.75. Back in April of last year, premiums were beginning to slip on Proof Gold and Silver Eagles in the original holders. One ounce Proof Gold Eagles carried a premium of $150 over the Gold value, while this year they are just $40-$45 above melt. Proof Silver Eagles were trading at $44 and today they are around $38. With metals now beginning to see a little more traction, some dealers might consider placing more time and money into this market, especially since these products are so easily traded and have such tight spreads. �����Despite the market fragility in common date U.S. Gold, with prices following the whims of bullion, some denominations are showing strength for very specific dates. 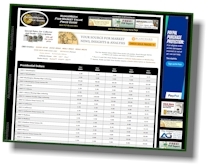 This week�s chart for $5 Gold Indians displays a number of better dates with increases. The 1908 $5 Indian in PR65 is higher at $37,500 Market and the 1909 in PR64 is up to $18,750. Also rising is the 1911 D in MS62, now at $17,650; this adjustment closes some of the large gap with the MS63 at $36,750. When spreads between grades appear to be excessive, dealers and collectors look for the more reasonably priced lower grade, predicting a future price increase. 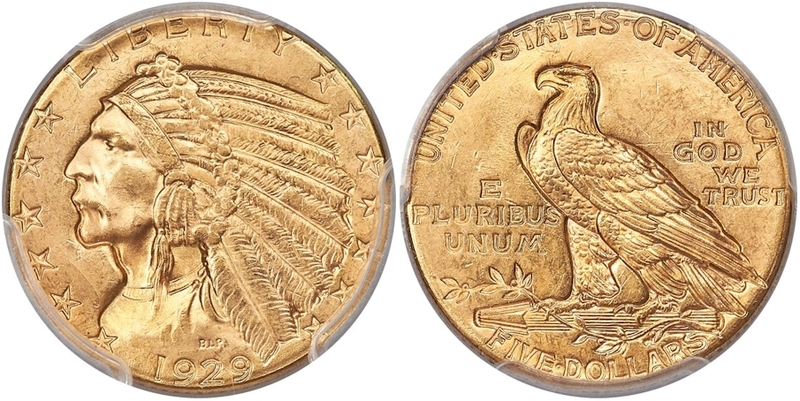 The extremely rare date 1929 in MS64 advanced to $47,500; while there are 180 coins certified in this grade, there are only 30 coins in higher grades with MS65 being the highest. �����Many Early Bust Halves have been adjusted downward this week, especially in the circulated grades. There have been so many of the more common early dates in auctions of late that the market has not been able to support them at previous levels. The majority of the price drops are in grades Fine through AU55. 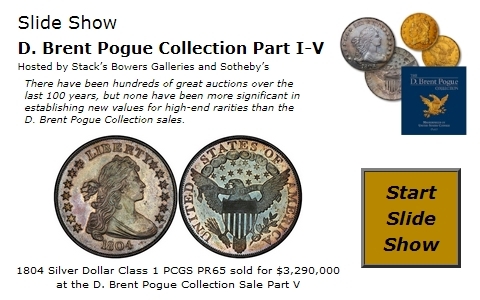 The 1803 Large 3 in AU50 and AU53 both have a lower Market price, now at $3,500 and $3,750 respectively. The 1805 is down in AU50, AU53, and AU55 with new Market prices at $3,625, $3,875, and $4,325. �����There is a long list of declines in Proof Barber Halves with the majority of these changes in the PR63, PR64, and PR65 columns. 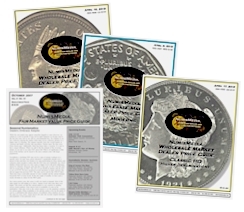 Like many other series, Proof Barber Halves need to be extremely attractive to command premium prices; coins that are just average are readily available at a discount. Note that the Market prices for common dates have dropped in PR63 to $780 and in PR64 to $1,025. Specifically, the 1893 in PR65 is lower at $2,175 and the 1894, also in PR65, is down to $2,375.